Lightweight Telescopic Scooter Ramps Non Slip Surface. Made from anodized aluminium, these telescopic mobility scooter ramps can carry up to 20 stone per set. They have a non-slip surface on the ramps and also on the contact surfaces at the top and bottom to prevent sliding whilst in use. Easily set up in seconds. These telescopic channel wheelchair ramps have been designed to be both lightweight and highly portable. Their telescopic nature means that you can extend or collapse them to fit your environment. They have two moulded plastic inserts which, when located on the top of a step (or rear of a car or van) will secure them in place. The surface of the ramp itself is coated in a non-slip material to ensure maximum grip and durability. A locking device holding the two parts of the ramps together at their minimum length prevents accidental opening during transportation. 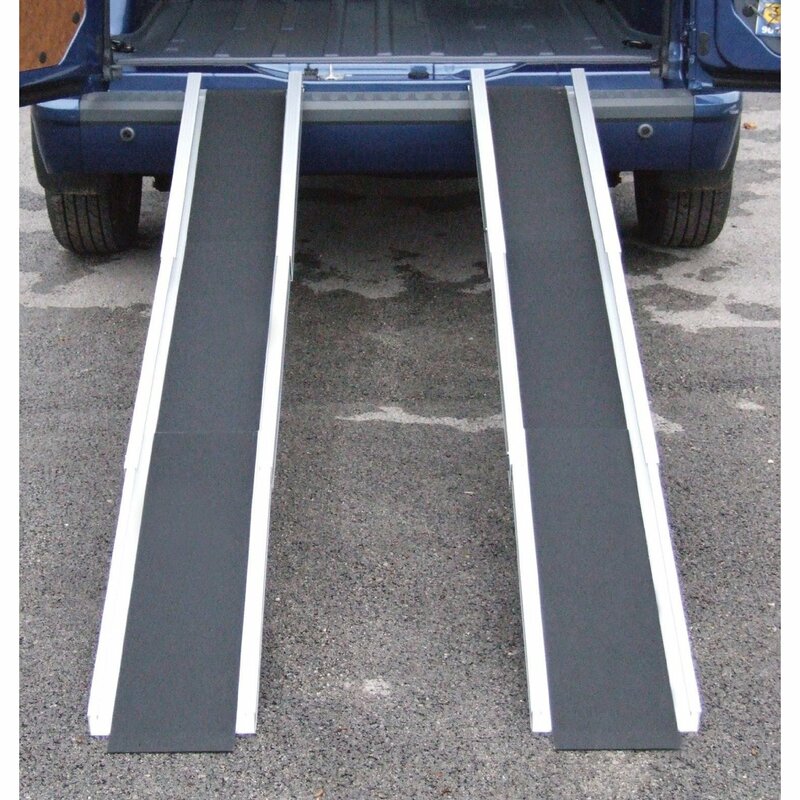 Nice lightweight ramps that are easy to handle and perfect for putting my wifes wheelchair into the van.